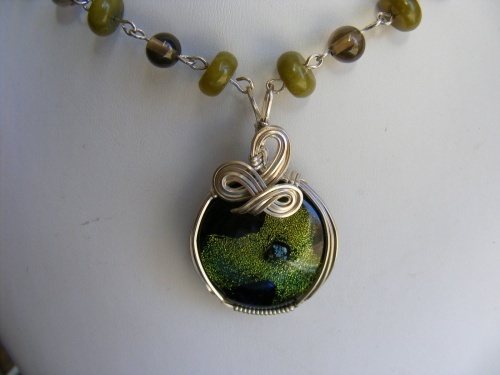 This pretty necklace has a gorgeous focal of handmade dichroic glass with rich olive colors and swirls of black. Matching beads in olive jade and smoky quartz make the piece complete. Measures 18" long.